The Frontline Club will be screening MOSUL, a new film by Olivier Sarbil and James Jones followed by a Q&A with Olivier and James. In October 2016, an elite team of Iraqi Special Forces was tasked with leading the fight to defeat ISIS in Mosul. It was the beginning of a brutal battle of attrition that was to last almost nine months. 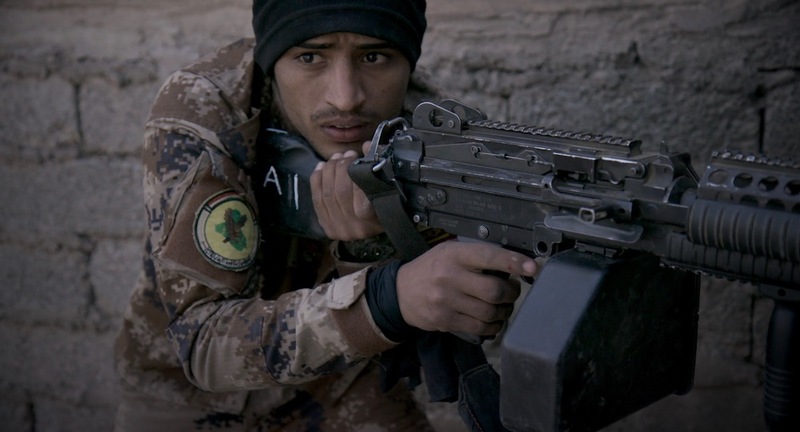 Filmed over the course of the whole campaign, MOSUL follows the experiences of four young soldiers: Anmar, a college graduate seeking revenge after his father was the victim of a suicide attack; Hussein, a ruthless sniper and aspiring football player; Jamal, a wise-cracking sergeant; and Amjad, a young recruit excited to be on the frontline. Full of hope and good intentions at the beginning of the campaign, the soldiers are forced to confront the reality of fighting an elusive and vicious enemy in a city full of trapped civilians who are themselves fearful and suspicious of the army. And with victory in sight, tragedy strikes. When ISIS eventually capitulates, much of the city is destroyed, and the surviving soldiers are left haunted by what they have seen and done.